In recognition of National Small Business Week, the IRS issued a statement reminding small business owners with home offices to consider claiming the home office deduction. 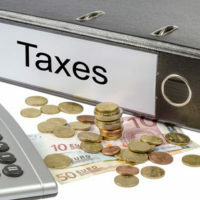 Claiming these types of deductions can make a big difference for business owners, especially those who are just starting out, so if you are a Florida business owner or work from home and have questions about state or federal tax planning, it is important to contact an experienced tax attorney who can advise you. There are two ways to claim the home office deduction, the first of which is known as the regular method. This method requires business owners to calculate the amount of business they conduct in their home by dividing the expenses of operating the home into two categories, personal use and business use. Expenses that fall under the category of business operation are considered fully deductible. The taxpayer can then calculate the percentage of the home’s floor space used to run the company and label it as an indirect total expense. The simplified method of claiming the home office deduction automatically assigns $5 per square foot of a person’s home that is used for business purposes. Although this method decreases the amount of paperwork that a taxpayer must complete, it also limits allowable deductions to 300 total square feet. The employee does not rent any part of the structure to the employer and then use the rented area to participate in business-related activities or services. If, however, an employee merely uses a home office on a haphazard basis for convenience, he or she will probably not qualify for the deduction. To satisfy the exclusivity requirement, a person must use a specific part of his or her home only for business purposes. Although the area used can be a separate room or space, it does not necessarily need to be separated by a physical partition. However, a taxpayer does not have to satisfy this test if he or she uses a specific part of the home as a daycare or for storage of inventory. If you are interested in learning more about the home office deduction or have other tax planning questions or concerns, please contact Ronald Cutler, P.A. at 386-490-9949 to speak with a dedicated Florida tax attorney who can explain your legal options. We serve clients in Orlando, Daytona Beach, Miami, Jacksonville, and surrounding areas.